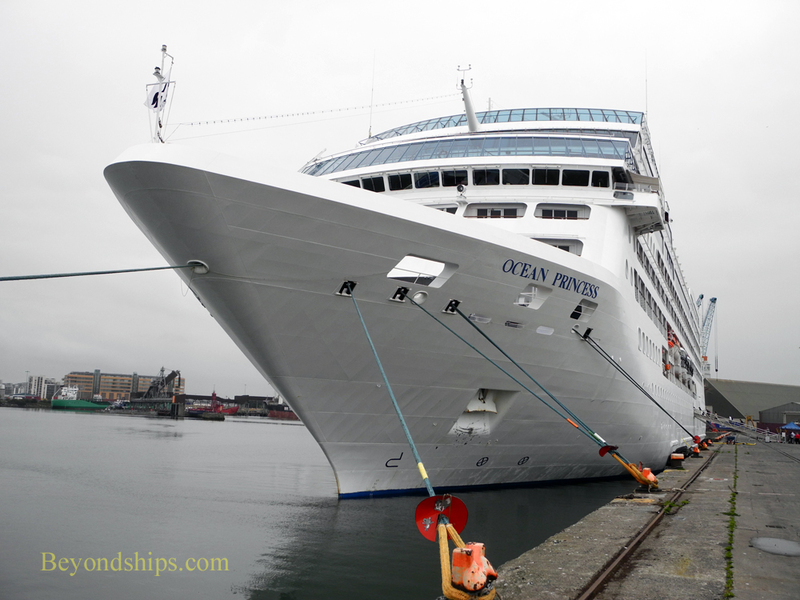 Ocean Princess is a world traveler. 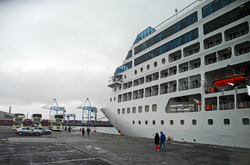 Her nomadic itinerary takes her from the islands of the Pacific to the western isles of Europe. 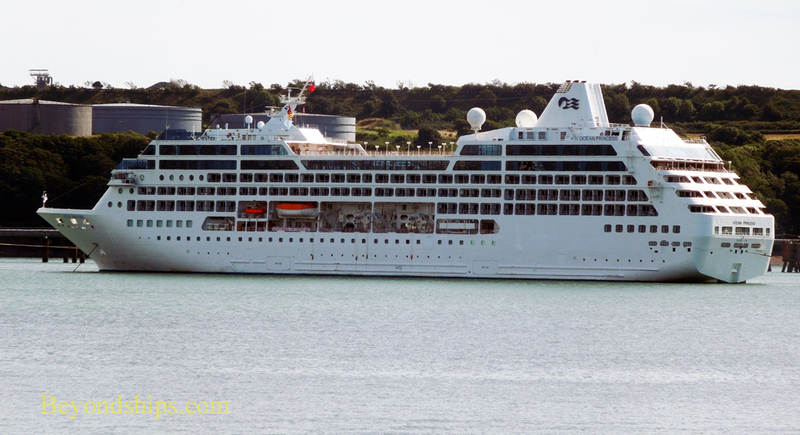 Since she is a relatively small ship, her ports of call include ports off the beaten track as well as major cities. 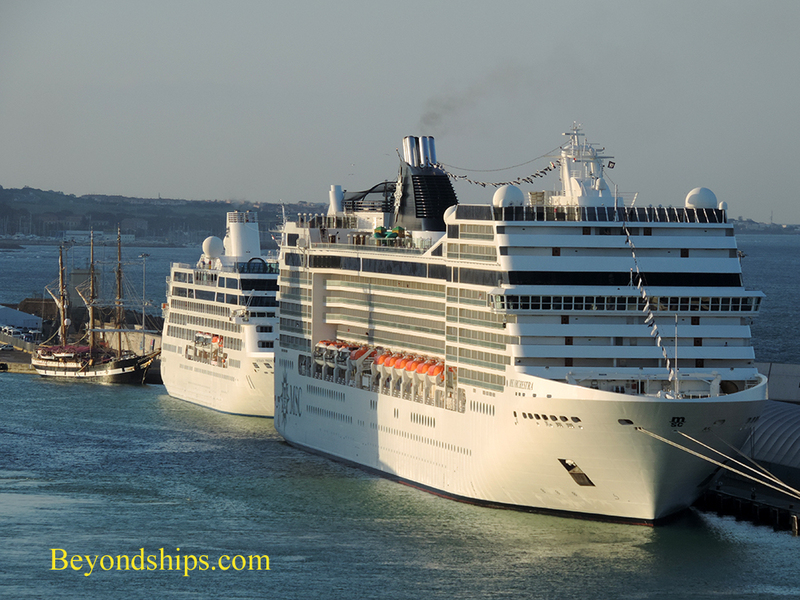 In this photo feature, we see her in various European ports. 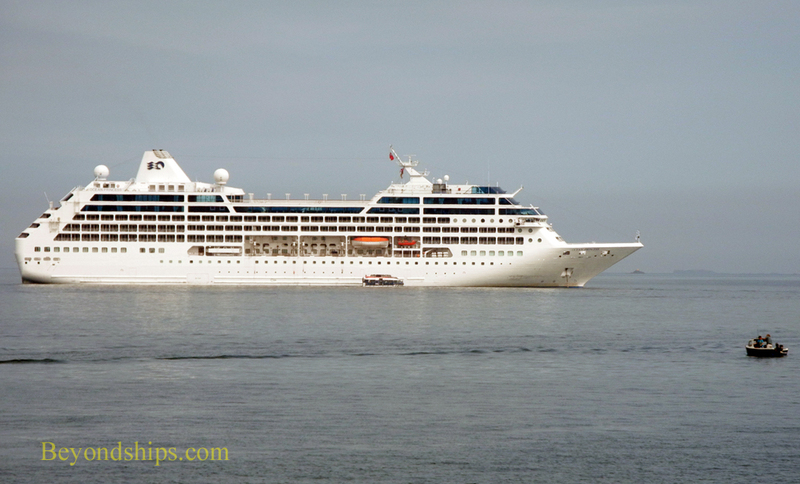 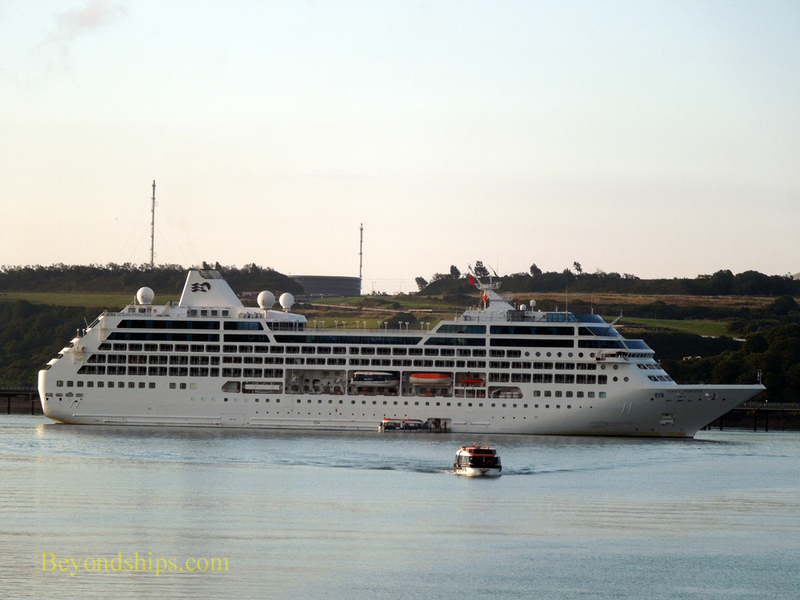 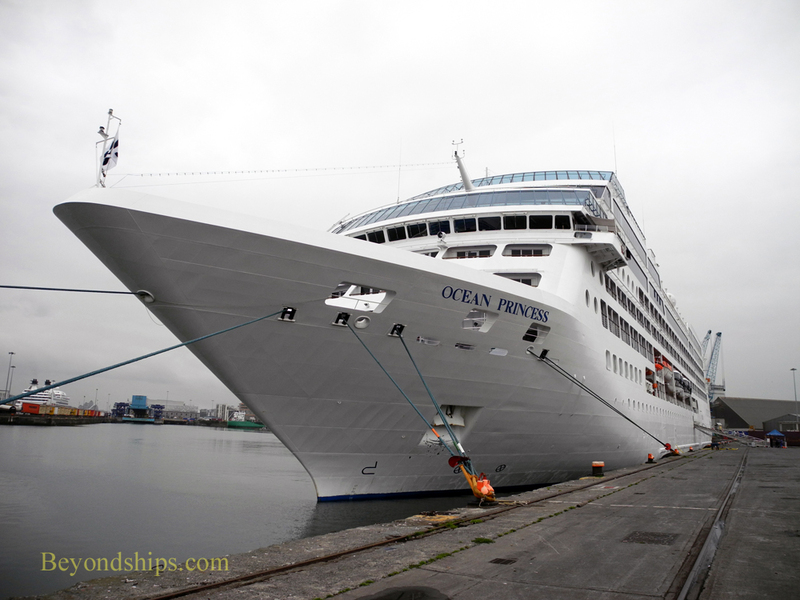 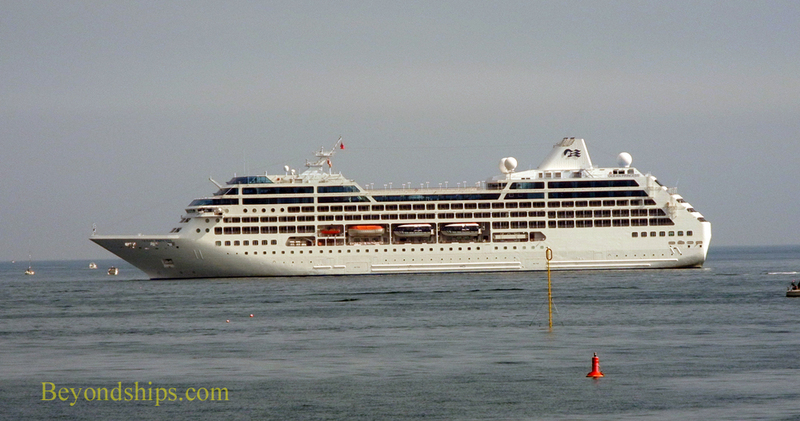 Ocean Princess at the Alexandra Quay in Dublin, Ireland. 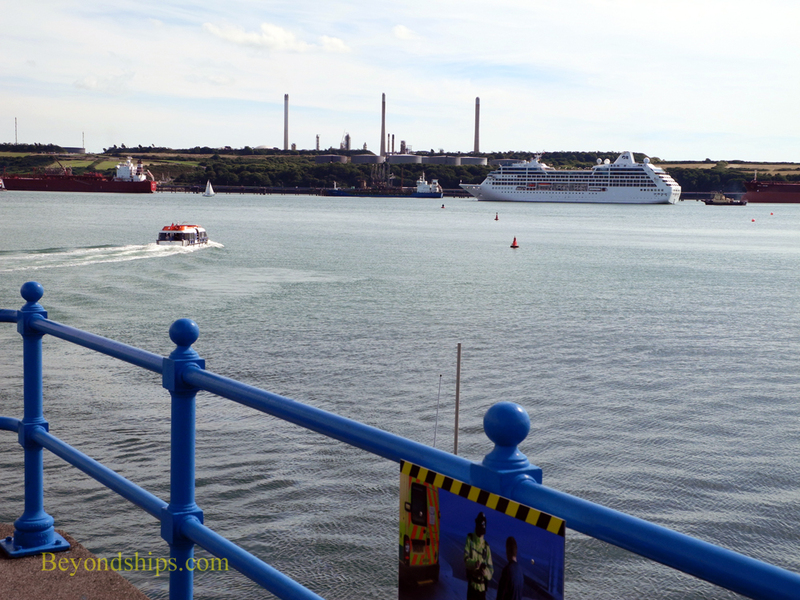 Across the Irish Sea in the tender port of Milford Haven, Wales. 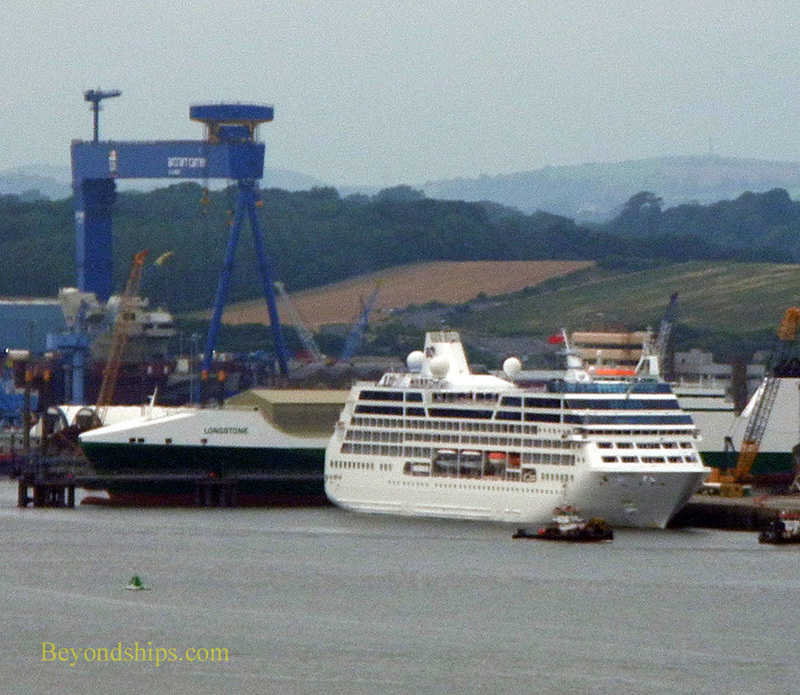 On a rainy afternoon in Rosyth, the port for Edinburgh, Scotland. 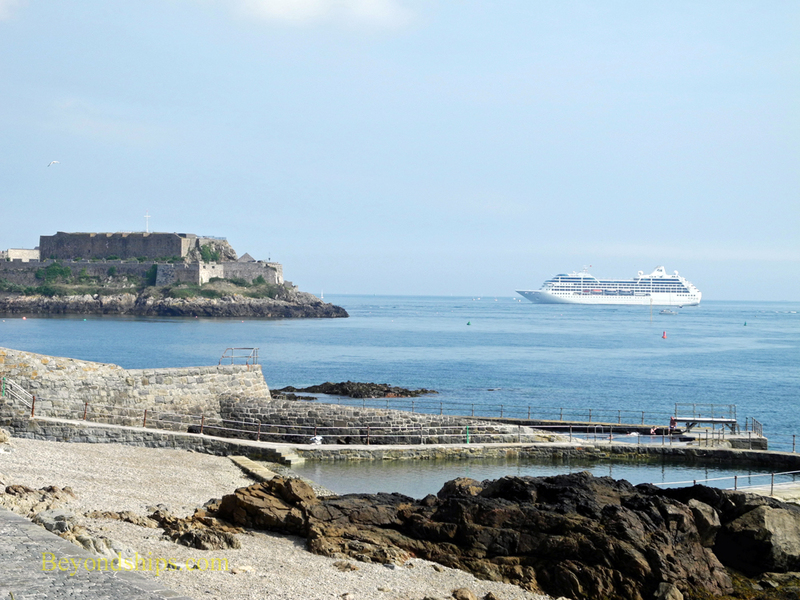 In the misty sunshine off of the Channel Islands (Guernsey). 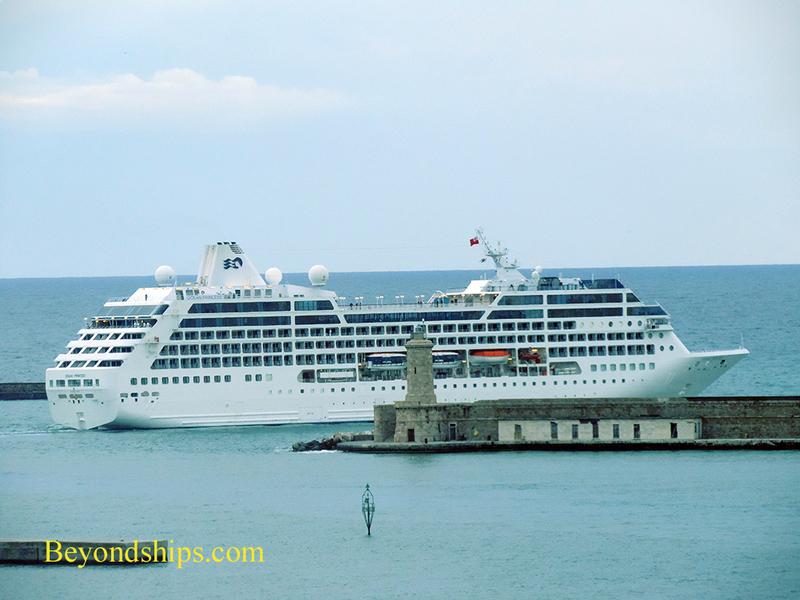 In Civitavecchia, Italy, behind MSC Orchestra.